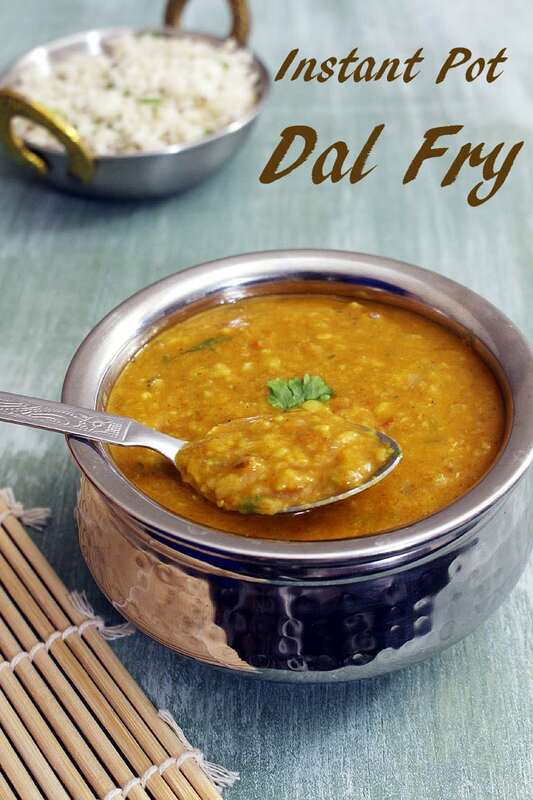 Instant Pot Dal Fry Recipe – This is healthy dal recipe that can be made on regular basis. Onion-tomato are sauteed first with few spices and then pressure cooked with lentils. Here I have used mix of three different dals – toor dal (split pigeon peas), moong dal (split yellow lentils) and masoor dal (pink lentils). Alternately you can use just one or combination of any two lentils. 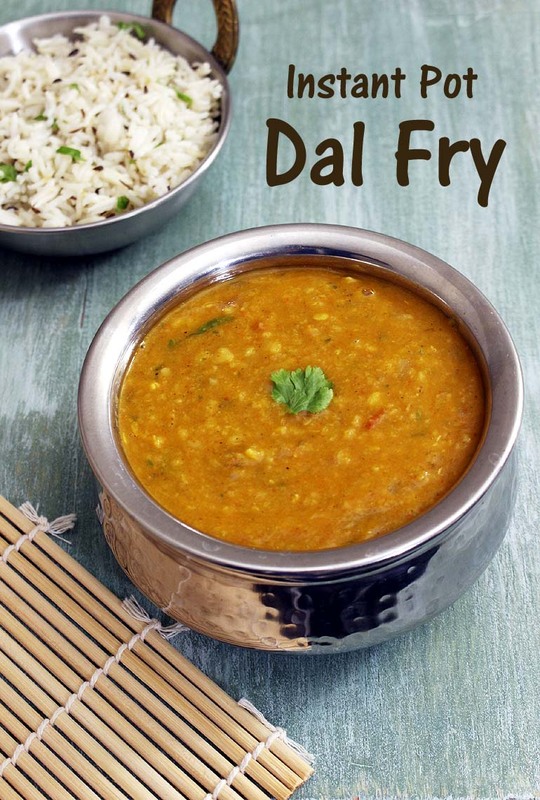 The meal is complete and comforting when this instant pot dal fry is served with rice (e.g. 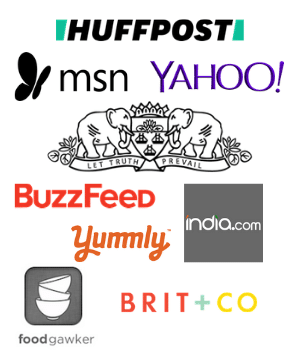 plain rice, jeera rice or pulao) or quinoa. I always cook dal and rice together using PIP (Pot In Pot) method, details mentioned below in notes. So the meal gets ready in about half an hour, isn’t it quick? I also roast urad dal papad and make kachumber salad (mixture of finely chopped cucumber, onion, tomato and capsicum) to go on side which makes healthy and filling meal. If recipe is followed properly, you will get the same taste as you get in Indian restaurants’ dal fry or yellow dal. 1) Take toor dal, moong dal and masoor dal in a colander or bowl. 2) Mix and wash them under running cold water till water runs clear. Or rinse them 3-4 times or till the water is no more cloudy. Soak them in enough water for 15-30 minutes though this is optional. 3) Turn on the Instant pot with saute mode. Once hot add oil and cumin seeds. Let the seeds sizzle a bit. 4) Then add chopped onions and saute for a minute. 5) Now add chopped green chili, ginger and garlic paste. 6) Mix and saute for a minute or till the raw smell of ginger garlic goes away. 8) Mix and cook for 2 minutes or till they become soft. 9) Add salt, turmeric powder, red chili powder and coriander powder. 10) Mix and cook for 30-40 seconds. 11) Add dal and water. 12) Mix well and turn off the saute mode by pressing cancel. 13) Cover the IP with lid. Keep the vent on Sealing position. Press the manual button (high pressure) and keep the timer for 7 minutes by pressing + or -. Let it NPR (natural pressure release) for 5 minutes then do QPR (quick pressure release) aka manually release the pressure by turning the position of the vent. Once all the pressure releases, the pin drops. That time open the lid. 14) Mix and check if any more water is required and turn on the saute mode (if extra water is added otherwise no need). 15) Add garam masala and kasoori methi. Crush the kasoori methi between your palm before adding. Mix well. 16) Add lemon juice and stir well. 17) Lastly garnish with chopped coriander leaves. 18) Press cancel to turn off the IP and dal fry is ready to serve. Serving suggestion: Serve instant pot dal fry with plain rice, quinoa, jeera rice or instant pot veg pulao. It can be served with roti or paratha. Soak the dal for at least 20 minutes. Also soak the rice for 15-20 minutes. Make IP dal fry as mentioned above. Put the rack in it. Cook on manual for 5 minutes. Then NPR for 5 minutes and then QPR. Then add 1/4 cup onion tomato masala. Skip turmeric powder and coriander powder. Reduce the red chili powder to 1/2 teaspoon. Rest of the steps are same as above. Wash three dals and soak them in enough water for 15-30 minutes. Soaking is optional. Turn the IP on with saute mode. Once hot add oil and cumin seeds. Let them sizzle. Add onions and saute for 1-2 minutes. Then mix in ginger garlic paste and green chili, cook for 40-50 seconds or till the raw smell goes away. Mix in tomatoes and cook for 2 minutes or till they become soft. Add salt, turmeric powder, red chili powder and coriander powder, mix well. Add soaked dal and water, stir well. Cover the IP with lid and keep the vent on sealing position. Cook on manual for 5 minutes (if dal is soaked) or 7 minutes (if soaking step is skipped). Let NPR for 5 minutes then do QPR. Once pressure releases, open the lid. Stir and check if more water is required or not. Turn back the saute mode on if water is added. Mix in garam masala, kasoori methi and lemon juice. Hi Kanan. I would like to make this with your tomato onion masala. Could you recommend a quantity? already mentioned in the recipe. 1/4 cup ready onion tomato masala. This looks delicious! I’d like to cook rice PIP, but I can’t tell if you’re cooking the rice at the same time as the dal (the 5 or 7 minutes in your recipe Step 7), or after the dal is done (an additional 5 minutes). Thanks! it is made with PIP method. So both cook at the same time. after step 7, put the rack and rice container and cook on manual for 5 minutes. so both will be ready at the same time.